Rev UP Athletics and Development’s sole mission is to equip young athletes with the necessary skills to position them as future accomplished leaders. Through their experiences in the program the athletes develop skills to ensure they are globally marketable in the areas of sports, academics, and their future occupational endeavors. This mission is accomplished through partnerships with notable coaches, sports trainers, motivational speakers, educators, non-profit organizations, and business professionals. Rev UP Athletics and Development (d.b.a. REV UP ALL STARS) is a non-profit year-round basketball organization located in Aurora, Colorado; serving young athletes ranging from 2nd grade to 12th grade throughout the Denver Metro Area. St.Marks Sanders; Club Director and Coach, along with a group of dedicated parents had a vision of creating an organization that would serve young athletes in a much broader capacity than the average basketball club. 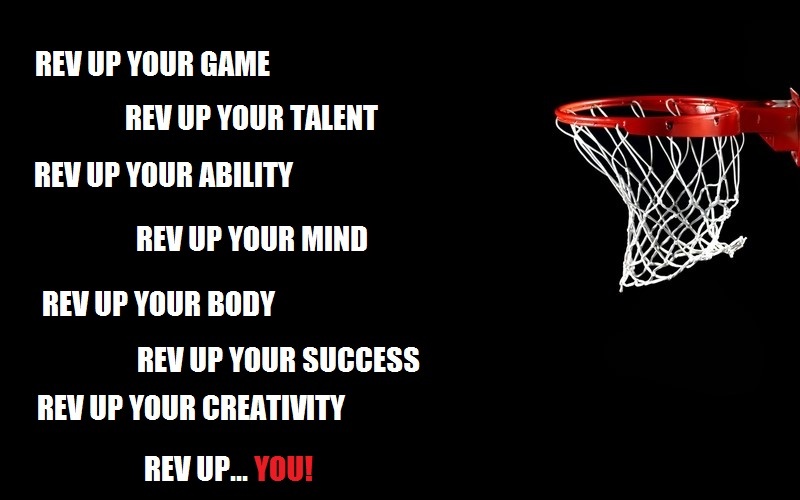 Rev UP All Stars is built on the principle that in order to reach an individual’s maximum potential in life there has to be a solid foundation of constant development. For us Rev UP means to GROW to PROGRESS to EVOLVE to EXCEL. These are principles that we support and is the framework used to build up our players athletically and personally.